If you're having issues with your iOS keyboard, we would recommend downloading a 3rd party keyboard, like Google Keyboard. 1. 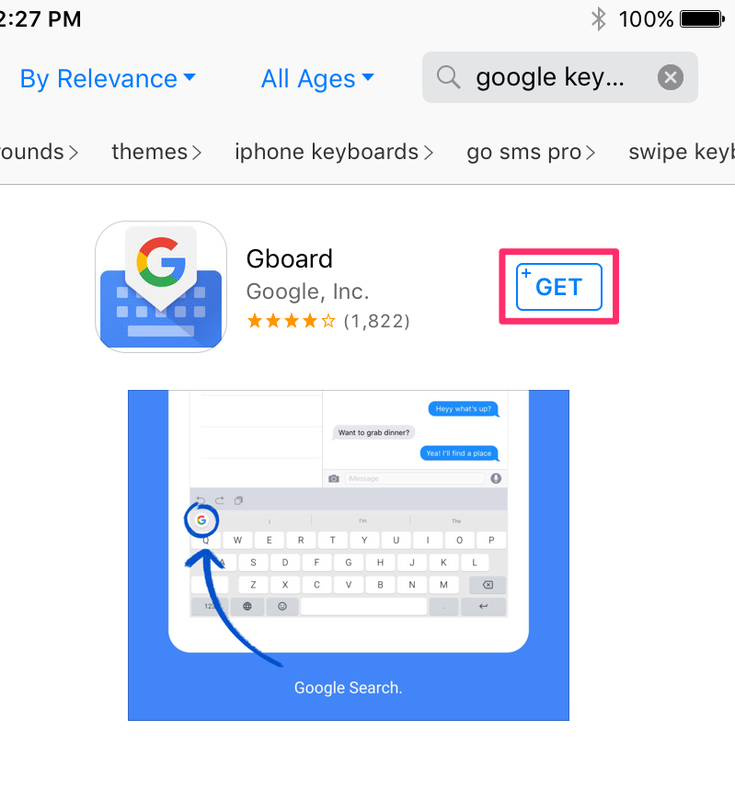 Go to the AppStore and search, "google keyboard"
2. Click "Get" and then "Install"
3. 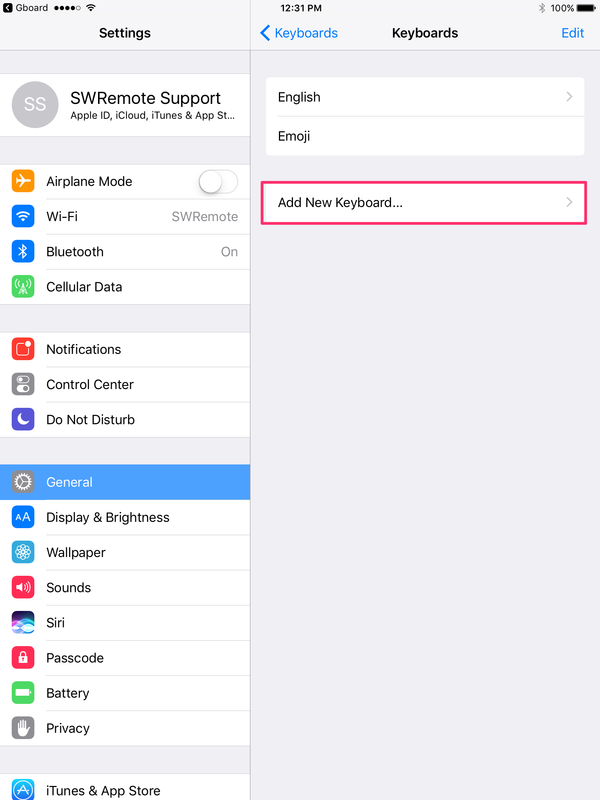 After the download finishes, click "Open"
Follow the prompts on the screen to enable the keyboard in your device's settings. Click "Get Started" and the Settings will pull up. Click the "Add New Keyboard..." button. Click on the Gboard option and then toggle the "Allow Full Access" button to Green. 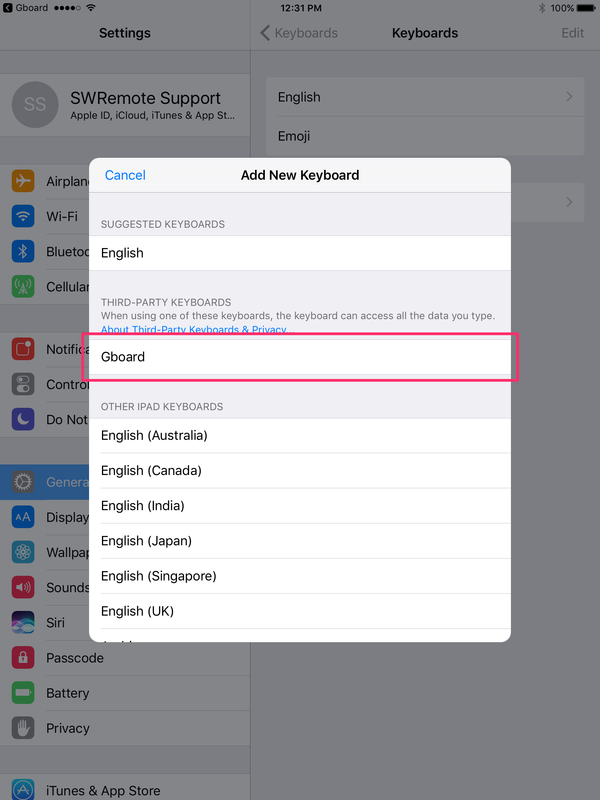 Now, when you go into SWRemote and open the keyboard to type, hold your finger down on the globe button, and then select Gboard.